Debbie Harry is an icon, even among rock goddess icons. The Blondie front woman and her cohorts blazed their own trail in the pop/rock forest, even stopping to dabble in disco, reggae and hip-hop. Her mix of high glamour and gritty street style still set the bar to this day. 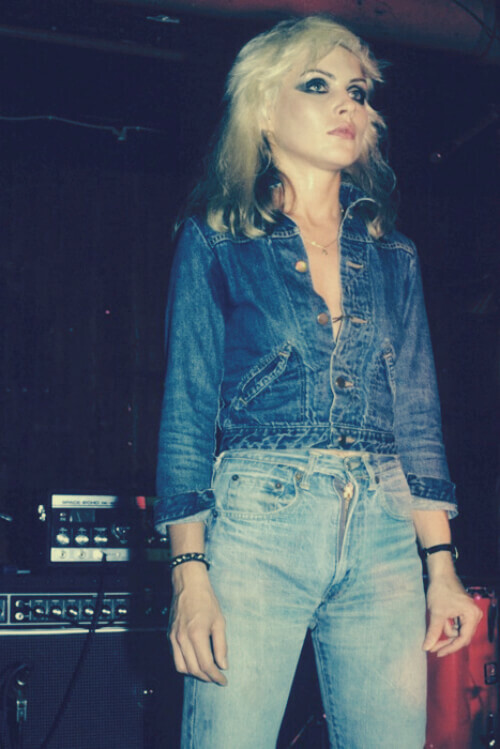 Here’s a classic stage look from the 70’s rocker – the double-denim is still totally on-trend. 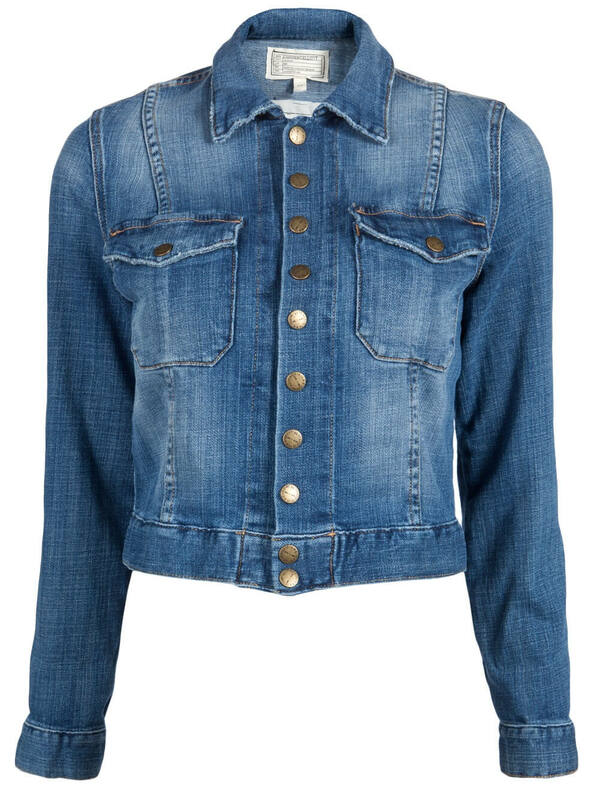 Find a denim jacket, such as the one above, and make sure it fits quite snug. Roll up the sleeves if that’s your thing. You’ll want to button it up most of the way, and don’t be afraid to add some pins and embellishments. 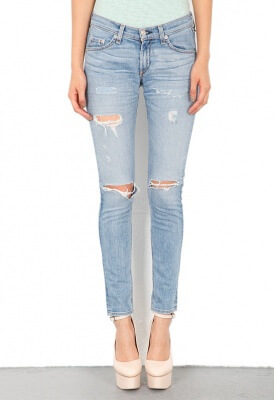 A pair of lived-in jeans covers the bottom half. Make sure they’re not super low-slung. In the ‘70s it was preferred that your pants’ rise come up high and your shirt be cropped. For the finishing touches, go for slightly messed-up, hombre hair, a wicked smoky cat-eye and a pair of towering stilettoes or Converse. Throw on a couple sassy bracelets and you’re good to go! Debbie was forever rocking the single-shoulder top. For this look at the beach look, don’t forget her camera-ready pout. Start with a pair of distressed black shorts and don’t be afraid to let your pockets hang down and let your legs take center stage. While Ms. Harry was constantly photographed early in her career wearing one-shouldered tops, most of them look homemade (hello, scissors!). For a slightly more polished, but still monochrome look, add a more refined tank top. You’ve already got the messy shorts. Add a pair of little kitten heels or Dr. Scholl’s sandals with huge blacked-out sunglasses. Even in a simple little (white) dress, Blondie is a babe. Although her frock appears to be falling off, she still manages to look composed and fresh, even holding a can of beer on a rooftop. Go for something chic and soft — like the swirly, twirly dress above. Keep accessories to a minimum and let the skin and attitude do the talking. Confidence is the key with these looks. Have fun!